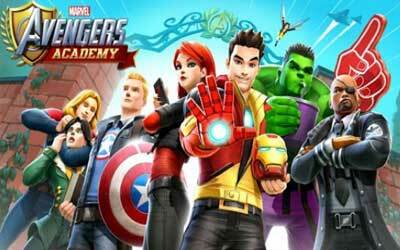 Marvel Avengers Academy APK has been released and the latest version is 1.24.1. TinyCo collaboration with Marvel released a new simulation game with theme of superheroes called Marvel Avengers Academy. In this game, you will develop a school for superheroes from the Avengers team like Captain America, Hulk, Thor, Iron Man, the agents Shield, up to and including several villains like Loki and the members of the organization Hydra. They were all teenage and need to learn to control and maintain the strength of their social life to remain normal. Told that Avengers Academy built by Director Nick Fury to build S.H.I.E.L.D back after being defeated by his nemesis, Hydra. The mission intended course is to train talented youth by developing the unique strengths of each in order to face the evil forces of Hydra. The young Tony Stark, Iron Man, is the first student enrolled and then followed Wasp, Thor, Loki, Captain America, Black Widow, and Hulk. Return of A-Force Special Event Begins!